At TMC, we believe the best business is achieved through the investment in our people and our communities. 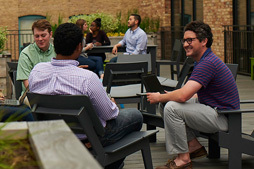 For us, this means creating and maintaining a culture dedicated to personal connections, philanthropic leadership, and creative learning environments. We provide a fun and engaging workplace where you can be yourself and perform at your best. If you’re interested in impacting some of the largest brands in the world and reimagining how they do business—we want to hear from you. Every day, the world is changing—from shifts in trade patterns to consumer behaviors and the economy—these changes have tremendous impact on global supply chains. Our customers choose us because we are passionate, innovative, and driven. 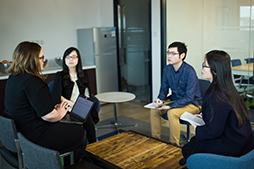 Our services and areas of expertise offer a wide range of employment opportunities and our teams offer a truly unique way to advance your professional experience and leadership across industries. Learn more about available positions at TMC. Our people are our priority. Your employment with TMC and C.H. Robinson is a commitment from us to the betterment of you and your family professionally and personally. We provide competitive benefits aimed at creating a positive and lasting relationship. Explore those benefits here.